The index of democratic processes in Ukraine has declined for the first time since 2014. This was stated in the Freedom House report “Nations in Transit 2018. Confronting liberalism,” published on April 11. “The window for fundamental reforms may not have closed in Ukraine, but it has narrowed considerably amid political resistance to anti-corruption reforms and a series of attacks on civil society and the media. For the first time since the 2014 revolution, Ukraine’s Democracy Score declined this year,” the message says. At the same time, it is noted with these deepening setbacks in the European half of the Nations in Transit region, it is no surprise that the countries in Eurasia most at risk of falling into authoritarianism—Ukraine, Moldova, Georgia, Armenia, and Kyrgyzstan—are also moving in a negative direction. In general, the slide of democratic processes is recorded in 19 countries out of 29 taken to the research. In 2017, illiberalism established itself as the new normal in the region that stretches from Central Europe through Eurasia, it is noted. Also, the report states Russia's action in Ukraine has worsened Ukrainians attitude to Russia and caused a foreign policy catastrophe. "Indeed, the seizure of Crimea is supposed to be Putin’s great achievement, but it has poisoned relations with Europe and the United States for the foreseeable future, leaving them no realistic option for deescalating sanctions. The fact that Russia helped shoot down a civilian airliner over eastern Ukraine, and that it still refuses to take responsibility for doing so, will not be forgiven. 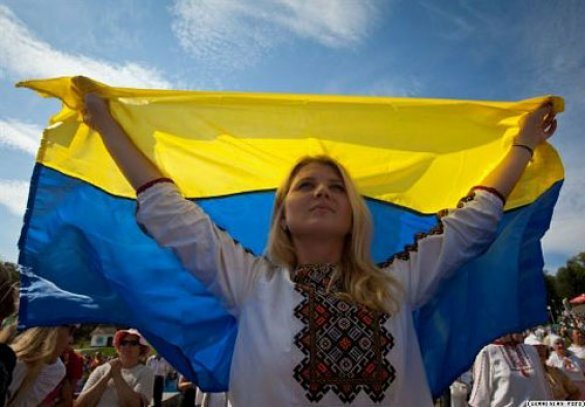 Even more importantly, the invasion has turned a whole generation of Ukrainians against Russia, fostering a climate of nationalist defiance that grows more entrenched with every soldier killed on the front lines in Donbas. Russia’s seemingly permanent loss of Ukraine as a potential partner is a foreign policy catastrophe," it is noted. As it was reported earlier, “Nations in Transit. Confronting liberalism” is an annual research, the results of which are published since 1995. It includes 29 post-communist countries – former USSR republics, Central and Eastern Europe and the Balkans.